The CPSA is committed to the continual improvement of its services and to satisfying the needs of both its Members and where appropriate, the Police and General Public. This policy outlines the CPSA’s aims and approach to the management of complaints and provides a framework for handling complaints. Along with all modern businesses today, the CPSA acknowledges the right of its members to complain if the services offered are not provided to an acceptable level. Appropriate complaints do contribute towards improving levels of service. This procedure also gives us as service providers the opportunity to explain to users why tasks are carried out in a certain way and, perhaps, why it cannot be changed. All parties should work hard to achieve good communication between them and look upon this as being part of a quality control procedure. Over time, this flow of information will help us to develop better services. On no account will any communication received anonymously be given any consideration. It is a process for considering any representation made to the provider of a service, including comments and complaints, about the services that they provide or fail to provide. Complaints procedures should be responsive and aim to satisfy complainants. This does not mean that all complainants will be satisfied with the outcome of their complaint, but the procedure should be directed to satisfying their belief that any complaint will be dealt with thoroughly. Once a complaint is made, both complainant and respondent should be able to expect the matter to be considered impartially. This means that procedures should ensure that different points of view are listened to and investigated without prejudice. In almost all cases of complaint, anonymity and confidentiality cannot be given, but support should be available to both parties involved. Complainants are more Complaints procedures should be responsive and aim to satisfy complainants. This does not mean that all complainants will be satisfied with the outcome of their complaint, but the procedure should be directed to satisfying their belief that any complaint will be dealt with thoroughly. This procedure shall provide a clear definition of a complaint, outlines minimum levels of service that can be measured and reported, is appropriate for those complaining, is easy to understand, is transparent in its execution, is quick and is efficient. Procedures must be cost effective to operate. Therefore the system must be simple to follow for the complainant, easy to administer for the organisation, and well publicised. It is important in relation to complaints that those bodies providing services are accountable for what they do, and take responsibility at the most senior levels for the operation of complaints procedures. Such bodies can show openness by publication of complaints statistics. A note of the complaint and its resolution will be entered in the Members individual file if applicable and kept on the CPSA database. The complaint will be acknowledged and, if it cannot be resolved by discussion, a written acknowledgement will be sent to the complainant which includes the name, contact details of the Member of Staff dealing with the complaint and the date when the complainant can expect a response Complainants will be kept informed and provided with an interim report if the original timescale, for whatever reason, is not adhered to. Complainants will be informed of their right to request that their complaint be progressed to the next stage of the process if they are dissatisfied with the previous response. They will be required to explain why they were dissatisfied with the result of the investigation at the earlier stage. The request for escalation may be accepted or rejected according to its merit. The Operations Manager will be made aware of and kept up-to-date with the progress and result of each complaint. How will the complaints procedure work in practice? The individual making the complaint must give their full contact details and if applicable their CPSA number to a member of staff who will then make every attempt to solve the problem at this point. Notify the complainant in writing within 5 working days, giving a complaint referral number as well as the name of the person who will be dealing with the complaint at HQ. A copy of all paperwork relating to our complaints procedure along with any relevant booklets will be included. If the complainant is dissatisfied with the solution offered, they may request for the matter to be taken further. At this stage, the complainant must clarify which parts of the complaint have not been adequately dealt with. If the complaint progresses to this stage, the Operations Manager will review the situation and decide if further action is appropriate. If it is thought that any actions/offers already submitted are appropriate, then they will inform the complainant of their findings, clearly outlining in writing their reasons. Arranged a meeting with the Operations Manager and Line Manager to ensure appropriate procedures/actions of all stages have been adhered to. Review any actions/procedures/offers made/taken and make a final decision as to any further action required. This decision outlining the reasons as to why any further action is/is not necessary, must be communicated to the complainant in writing. Having received a final decision from the CEO, the complainant may if they are still dissatisfied with the outcome, make a final written complaint to the Chairman of the Board. A panel consisting of three Board members will meet at the next Board meeting following stage five of the complaints procedure to decide an outcome. Their conclusions will bring this matter to a close. If the complaint is about one of procedures within their own county or region and under the region or county jurisdiction, complainants must remember that both region and county committees have the remit to “promote the sport” in their own way and providing it doesn’t go against the articles of either the Association or the region or county, then HQ will not intercede unless impartiality is not being observed. Contact must therefore be made with the relevant committee to try and solve the problem. In all cases, proof must be available of this contact but where an amicable solution has not been found following discussions and or meetings with that committee, then the complainant has the right to seek further clarification and guidance from HQ. If the complaint is of national team selection procedures, then complaints should be made to HQ. If the complaint received is one that might indeed result in disciplinary action against another individual, then the complainant will be informed that a letter must be sent to the CEO outlining the problem in detail and the envelope marked private and confidential. This letter must include full individual member details of both complainant and those who are being complained about. Solutions to most disagreements can be found within CPSA Booklet 5, which clubs should keep spare copies of and make freely available to all members participating in any competition. It must be remembered that CPSA rules only relate to registered competitions. Regardless of what the complaint is, members should in the first instance seek a solution with the owner/secretary at the time of dissatisfaction. Disagreements on the interpretation of rules and/or setting of targets must be decided upon by the jury on the day; providing it is not one of a target being scored or lost (the referee has complete autonomy on this matter). If a member is not satisfied with the interpretation by the jury, they can then seek further clarification on the interpretation of the rules from HQ. Clubs have a responsibility to all persons under both Employment and Health and Safety laws and regulations and should rigorously carry out the requirements of all such laws if they want to avoid prosecution. 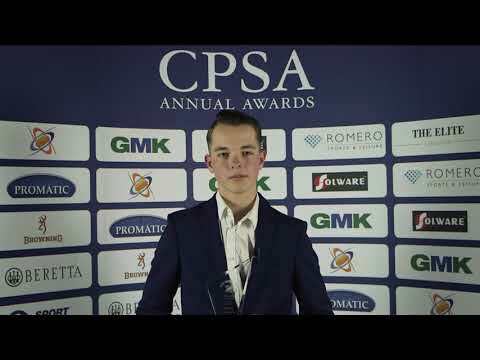 CPSA advice to its entire club membership gives clear guidance on the employment of young persons. There is the opportunity to employ such persons but there is a strict procedure that must be followed in order for them to do so. The CPSA therefore does, only under its Duty of Care, give best advice on these matters. Regardless of what the complaint is, complainants should in the first instance seek a solution with the proprietor/manager at the time of dissatisfaction. Any complaint not able to be solved by discussion should then be addressed using the sale of goods act to conclude a settlement. The Chief Executive and two nominated members of the Management Board, supported by the Honorary Solicitor, will be the judges of any claims for compensation.